CNN defeated MSNBC in total day viewers, and ranked No. 4 across basic cable in the daypart. CNN also posted year-over-year viewer growth in total day: +16 percent in total viewers and +35 percent in the key demo. The network experienced declines in prime time compared to the same month last year: -26 percent in total viewers and -15 percent in the prime time demo. Why? The network televised two primary debates (Iowa and New Hampshire) and four candidate town halls in February 2016. There were of course no primary debates in February 2017. Despite a decline in total prime time viewers, CNN remained ahead of MSNBC in the prime time news demo in February. This has now been the case for 32 consecutive months. New Day with Chris Cuomo and Alisyn Camerota, Erin Burnett Outfront and State of The Union with Jake Tapper all had standout months on the network, ratings-wise. Tapper also had a notable month anchoring The Lead, conducting a newsmaking interview with Kellyanne Conway and giving forceful responses to Pres. Trump’s criticisms of the news media. 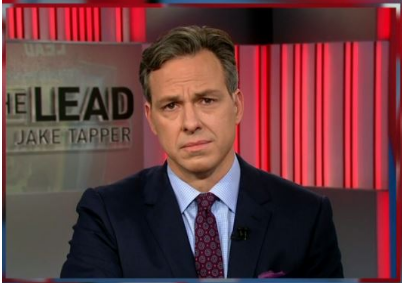 Tapper also made the rounds on the late night talk shows this month, including appearances on The Late Show with Stephen Colbert and on Conan. New Day beat Morning Joe for the second consecutive month and for the third time in the past four months among adults 25-54. February 2017 was also New Day’s second-most-watched month in series history. 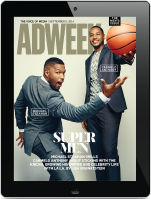 Outfront posted its best demo delivery in series history this past month, including +86 percent growth versus February 2016. Fareed Zakaria GPS and Reliable Sources with Brian Stelter all ranked No. 1 in cable news in their respective timeslots among adults from the key 25-54 demo. February was another strong month for CNN with the network ranking #2 in cable news, with many programs posting record ratings and all shows growing double or triple digits compared to a year ago. CNN has topped MSNBC in Total Day (total viewers and 25-54) and in prime time (adults 25-54) for 32 consecutive months, the longest winning streak vs. MSNBC in nine years (since February 2008). This month, New Day beat MSNBC’s Morning Joe for the second straight month and for the third time in the last four months among adults 25-54. February was the program’s second best month on record and its largest advantage over MSNBC since May 2015 in the demo. New Day also had its largest share of the cable news morning audience on record in the demo (25%). CNN’s weekday 7pm, 8pm and 10pm hour shows topped MSNBC among adults 25-54 and grew double to triple digits vs. a year ago. Erin Burnett Outfront (up +86%) delivered its highest demo delivery on record and CNN Tonight with Don Lemon (up +103%) its second highest. The 8pm hour with AC 360 is having its third highest rated month since October 2008 and is up +69% versus a year ago. In addition, CNN’s 9pm programming (mostly AC 360) grew +125% compared to last year. CNN’s dayside programming is up the most in cable news, increasing a whopping +96% among adults 25-54 vs. last year. CNN’s dayside programming is also having its second highest delivery in adults 25-54 and third highest delivery in total viewers since January 2009. On Sundays, Reliable Sources with Brian Stelter, State of the Union with Jake Tapper (noon) and Fareed Zakaria GPS (1pm) all ranked #1 in cable news among adults 25-54. All of this happened despite very difficult comparisons to a year ago (February 2016) when CNN broadcast record setting Iowa Caucuses and New Hampshire Primary special event coverage in prime time, making this year’s performance that much more impressive. This month, CNN ranked #6 in ALL of cable in Total Day among total viewers (following Fox News, Nickelodeon, HGTV, Adult Swim and Disney Channel) and #11 among 25-54. In prime, CNN ranked #11 in all of cable news among total viewers. Year-to-date, CNN is up +27% in total day total viewers (822k) and +40% among adults 25-54 (264k). • Early Start (4-6am) ranks #2 across cable news among both total viewers and the demo, growing +2% in both demos vs. year ago. • New Day with Chris Cuomo and Alisyn Camerota (6-9am) ranked #2 in cable news in the demo 25-54, topping MSNBC’s Morning Joe (238k vs. 195k) for the second straight month and for 3 out of the last 4 months (Nov-16, Jan-17, and Feb-17). This is New Day’s biggest monthly demo advantage over Morning Joe since May 15 (tied with June 2015). The program is also averaging its third highest monthly performance in total viewers (649k) and second highest monthly performance among adults 25-54 (238k) on record. New Day grew the most in cable news in the morning, increasing +52% in total viewers and +90% among adults 25-54 vs. a year ago. • CNN dayside (9a-4p) programs all ranked #2 among P25-54 in cable news in February with CNN posting a +79% lead in the demo (275k vs. 154k) and a +21 % advantage over MSNBC in total viewers (928k vs. 764k). MSNBC ranked #3. CNN dayside programming also grew significantly from last year, up +96% in the adults 25-54 demo and +50% among total viewers. • The Lead with Jake Tapper (4pm) is averaging its second highest monthly total viewer and demo 25-54 delivery on record. The program ranked #2 in cable news, easily topping MSNBC in both total viewers (1.162mm vs. MSNBC’s 764k) and the demo (323k vs. 146k). The Tapper-led show grew an impressive +60% in total viewers and +108% in the demo from a year ago. MSNBC ranked a distant third. • The Situation Room with Wolf Blitzer (5-7pm) ranked #2 in cable news besting MSNBC in both total viewers (1.198mm vs. MSNBC’s 976k) and in the demo 25-54 (375k vs. 200k). The Situation Room increased +55% in total viewers and was up +83% in the demo compared to February 2016. During the 6pm hour, The Situation Room easily topped For the Record with Greta Van Susteren in both total viewers (1.215mm vs. MSNBC’s 903k) and the demo 25-54 (408k vs. MSNBC’s 198k). • CNN beat MSNBC during the M-F evening/prime time hours at 7pm, 8pm and 10pm in the key demo 25-54. • Erin Burnett Outfront (7pm) is posting its highest delivery on record among adults 25-54 and its third highest performance in total viewers. EBOF ranked #2 in the demo (438k), topping MSNBC’s Hardball with Chris Matthews (302k) by +45%. The Burnett-led program has now topped Matthews for the 32nd straight month, the longest streak on record for the 7pm hour. EBOF also grew significantly from last year’s busy political season, increasing +52% in total viewers and +86% in the demo 25-54. • Anderson Cooper 360 (8pm) ranked #2 in cable news in the demo (509k) easily topping MSNBC’s Chris Hayes (361k). AC360 grew +34% in total viewers and +69% in the demo compared to last year. CNN has now topped MSNBC in the demo for the 32nd consecutive month at 8pm, the longest streak since January 2006. This month’s deliveries are the third highest since October 2008. • CNN programming (9pm, mostly Anderson Cooper) delivered 1.429mm total viewers and 528k among adults 25-54. The 9pm programming was up an impressive +81% in total viewers and +125% among adults 25-54 compared to last year. • CNN Tonight with Don Lemon (10pm) is posting its second highest delivery on record in both total viewers and adults 25-54 this month. The program ranked #2 in cable news in the demo 25-54 (465k vs. MSNBC’s 429k). CNN has now beaten MSNBC at 10pm for 31 of the past 32 months in the important key demo 25-54. The Lemon-led program was up +81% in total viewers and +103% among 25-54 vs. last year. • New Day Saturday (6-9a) ranked #2 in cable news each hour in total viewers and in the demo and grew each hour compared to last year. MSNBC was either 3rd or 4th. • Smerconish (9am) ranked #2 in total viewers (964k vs. MSNBC’s 694k) and among 25-54 (293k vs. MSNBC’s 161k). The program was up +39% in total viewers and +74% in 25-54 vs. last year. At 6pm, Smerconish also ranked #2 and was up from a year ago. • CNN Newsroom with Fredricka Whitfield (11am-3:00pm) ranked #2 each hour, growing double digits vs. a year ago. MSNBC was 3rd. • CNN Newsroom (3-6pm) either ranked #1 or #2, increasing double digits in both total viewers and the demo 25-54 vs. last year. • Inside Politics with John King (8am) ranked #2 in both total viewers (864k) and the demo (276k). MSNBC ranked 3rd/4th respectively. The King-led program grew +25% in total viewers and +39% in the demo from last year. • State of the Union with Jake Tapper at noon ranked #1 in cable news in the key demo with 373k, Fox News followed with 311k and MSNBC trailed with 193k. SOTU was up +26% in total viewers and +71% in the demo vs. last year’s busy political season. At 9am, the Tapper-led program was #2 in cable news in both demos and was up 26%/50% respectively. • Fareed Zakaria GPS at 1pm was #1 in the demo 25-54 with 333k, Fox News had 277k and MSNBC delivered 194k. The program was up +44% in total viewers and +92% in the demo vs. last year. At 10am, GPS ranked #2 in both demos, increasing +43% in total viewers and +58% among adults compared to last year. • Reliable Sources with Brian Stelter (11am) was #1 in cable news in the demo 25-54 this month with 366k, Fox News’ Media Buzz was behind with 336k and MSNBC had 219k. The Stelter-led media program was up +50% in total viewers and +79% among 25-54 vs. last year. • CNN Newsroom on Sunday afternoons ranked either #1 or #2 in the demo, growing double digits vs. last year. • CNN’s The History of Comedy Season 1 to date (Thursday nights 2/9-2/23/17) averaged 637k among adults 25-54 and 1.691mm in total viewers. The Original Series ranks #2 in cable news in its time period among adults 25-54, topping MSNBC’s Last Word with Lawrence O’Donnell by +34% (477k). Among ALL of CNN’s Original Series telecasts ever (Live+SD), the HOC series premiere (F***ing Funny) ranks #4 among adults 25-54 and #3 in total viewers.